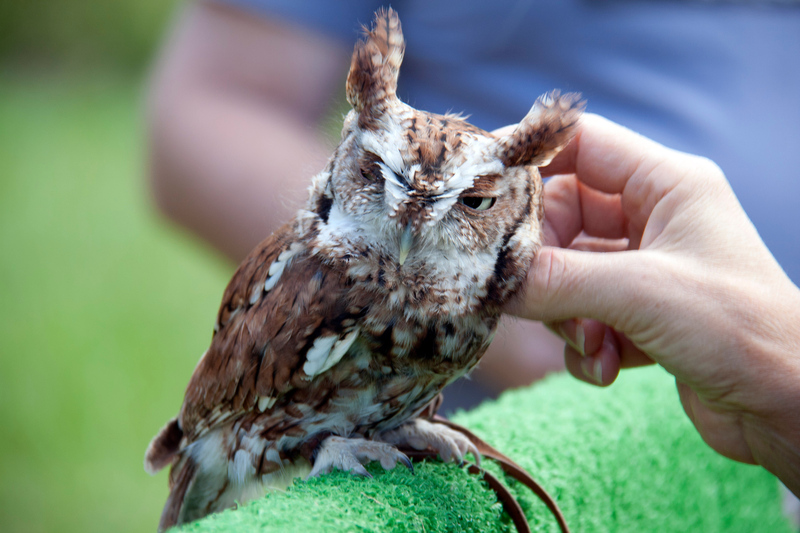 Henry the Eastern Screech-owl enjoys a scratch behind the ear-tufts. Photograph by Liz Falvo. Thank you to everyone who supported Owl Moon this holiday season! With your donations, we topped our fundraising goal of $2000 dollars! I am proud to report that Owl Moon Raptor Center is starting 2013 in our strongest position ever. 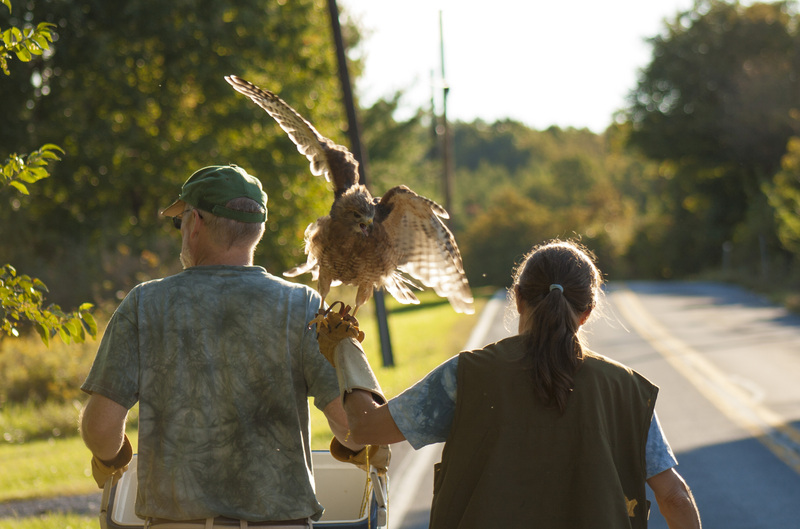 Your support will provide medicine and supplies to help dozens of sick, injured, and orphaned birds of prey in the coming year. We are glad to have you alongside us as we continue our mission into the new year. Owl Moon is a family effort. Suzanne and her husband Jan return from a session of creance flying. Photograph by Natasha Lewandrowski. Congratulations on your important success! The calendar is a wonderful testament to your work helping these handsome raptors and owls. Bravo! You should be so proud and satisfied for what you do for these amazing creatures. Thank you for continuing in your work and may God bless you. No, YOU guys did it! We are lucky enough to get to enjoy the calendar and stories. Here in Maine, whenever I see a raptor (alot) or an owl (almost never!) I think maybe, just maybe, he or she has met the Owl Moon ‘crew’…. Congrats Suzanne and Owl Moon Raptor Center. You’ve worked very hard and derserve great success. Thank you all for your kind complements, but we couldn’t do what we do, which I do feel is so important and from which I get great satisfaction (as well as heartbreak, at times), without YOU!!! Thank you! Thank you so much for reposting our posts on your blog. The response has been overwhelming! We truly appreciate your support of our mission to help injured, sick, and orphaned birds of prey.